Gerald Tramble is a Dirt Wheels reader who lives in France. 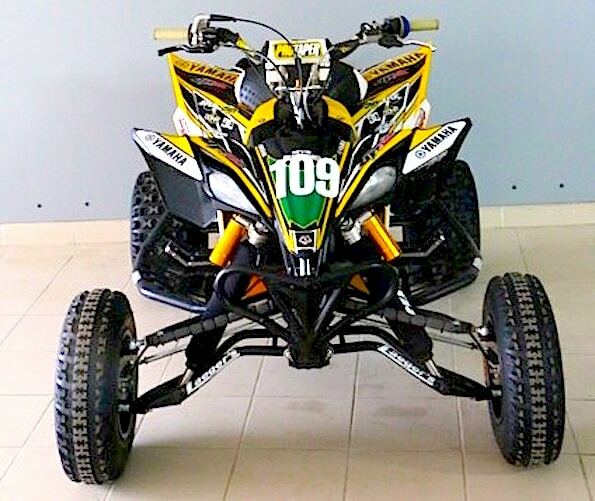 Just like many of us in the USA, he has a strong passion for ATV racing. ATV motocross is very popular in Europe too. 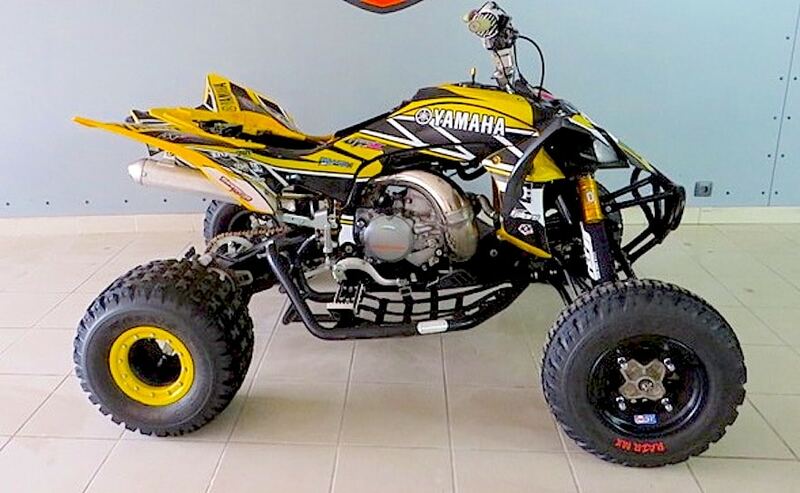 As expected, Yamaha’s YFZ450 is a machine many Europeans choose to race. 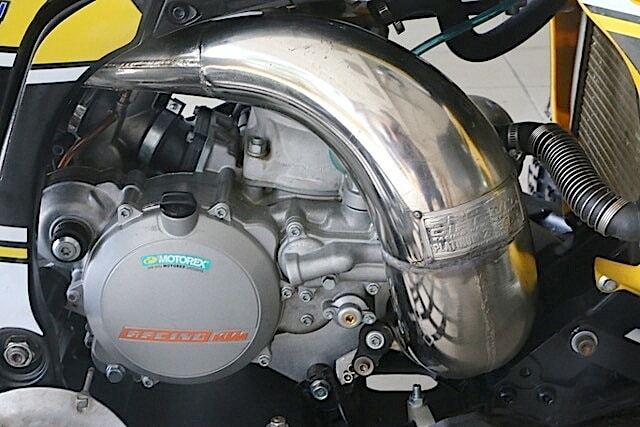 For Gerald though, he wanted his YFZ to have a two-stroke power plant. So, he set out to remove the 450 4-stroke engine and replace it with something else. KTM is a company that still puts two-stroke engines into a lot of its dirt bikes. They have the best example of modern two-stroke engines with the latest technology. Their 300cc two-stroke engine has a counter-balancer for less vibration and they even offer it with an electric starter. So, that is the engine Gerald chose to put in his Yamaha YFZ450 frame. It looks like the engine fit in there perfectly fine with room to spare. Now he has a light weight racing quad with a snappy power band that hits with authority. That’s why two-stroke performance quads have always been so much fun to ride. Just ask any Honda 250R, Quadzilla or Banshee rider.